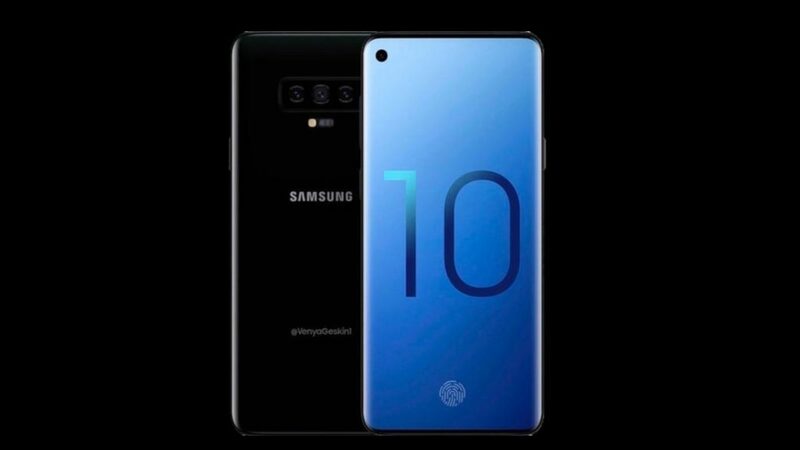 Samsung’s upcoming flagship Galaxy S10 and Galaxy S10 Plus will be powered by the Exynos 9820 that is an 8nm SoC with Tri-cluster CPU and also found a model SM-G975U device, which is equipped with the Snapdragon 8150 new processor, integrated NPU, up to 2Gbps LTE-Advanced Pro modem. Before the official launch, the first Galaxy S10 Exynos 9820 benchmark has surfaced online. 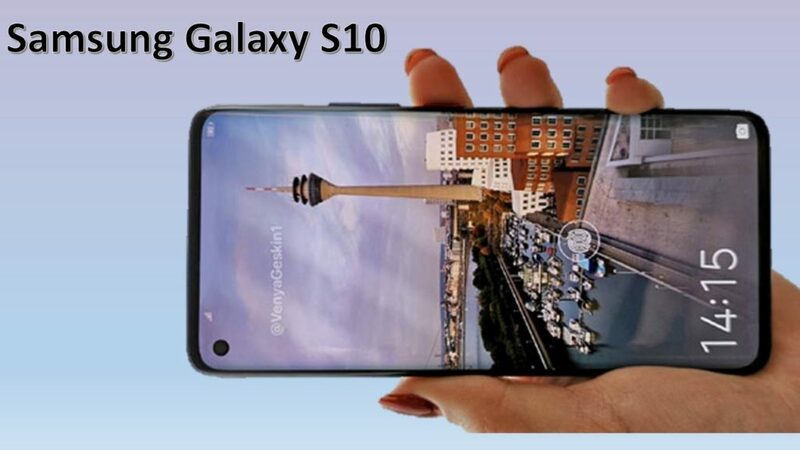 It is internally referred to as “beyond2” and should be branded as the Galaxy S10+ when it goes official launch date is is likely to be in early 2019. Prior to the Galaxy S10, all Hole on screen phones (including A8s) used LCD screens, and vendors included BOE or other LCD screen manufacturers. But the S10 uses Samsung’s exclusive HIAA-structured AMOLED screen technology, which is unique to Samsung and maintains its edge. 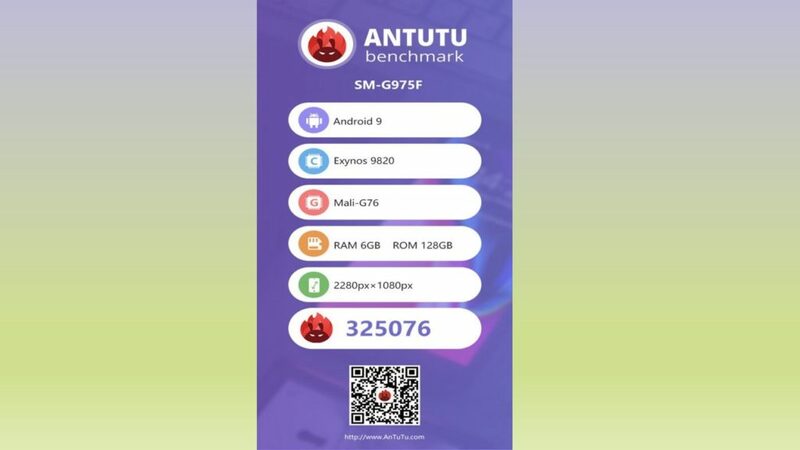 This is the first score (325076) of the Galaxy S10+, using the Exynos 9820 processor from AnTuTu Bemchmark according to techradar. The highest frequency of the engineering machine processor discovered by Ann Bunny was 2.7GHz, and the GPU frequency was not yet recognized. In the GPU part, Samsung used the Mali-G76 MP12. Compared to the Exynos 9810, the Exynos 9820’s GPU performance can be increased by 40%, and the power consumption ratio is increased by 35%. The Galaxy S10’s Infinity-O screen laser hole punching technology is called “HIAA” (Hall In Active Area) by Samsung. This is Samsung’s exclusive OLED screen technology. Samsung has exclusive technology for a certain period of time. Three different model numbers signifying variants of the Galaxy S10 Plus: SM-G975F / DS SM-G975F / SM-G975X. The RAM could also be a big upgrade, as Samsung has announced that it has developed an 8GB RAM chip built on a 10nm process with Snapdragon 8150 according to gsmarena. This, while not confirmed for the Galaxy S10, apparently has a data rate that’s 1.5 times as fast as current flagship RAM chips and can also reduce power consumption by up to 30%. 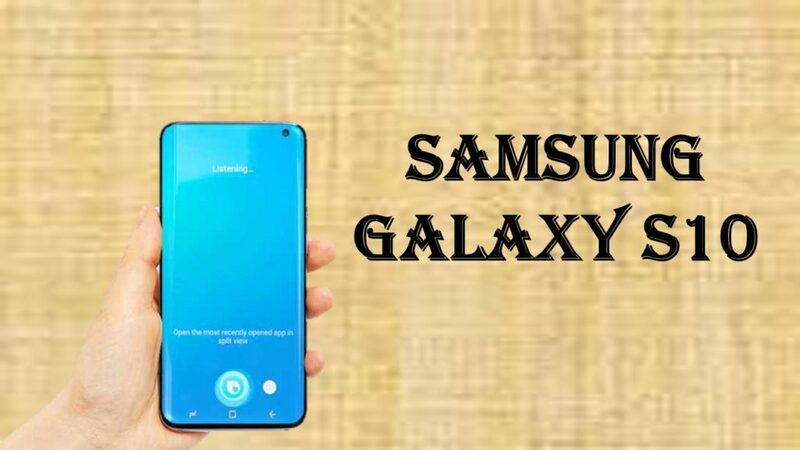 The most basic Galaxy S10 model might have more basic specs, with one source saying it will come with either a Snapdragon 845 or 8150 chipset and a choice of 6GB of RAM and 64GB or 128GB of storage and plus models 8GB RAM 256GB/512GB of internal storage. Samsung may release three different models of the Galaxy S10 (think Galaxy S10, Galaxy S10 Plus and Galaxy S10 Lite), with a 5G option coming only to the Galaxy S10 Plus, says The Bell Canada according to cnet. Galaxy S10 5G is expected to enhance network speeds, coverage and the responsiveness of wireless networks. Carriers AT&T , T-Mobile and Verizon. Galaxy S10 will come both models to have two lenses, or better yet, three. After all, the Huawei P20 Pro has landed with exactly that to stunning effect. The Galaxy S10 launch event could be February 24, 2019 (one day before MWC 2019) Expect leaks or at least hints at either CES or in the lead up to MWC 2019 Also, expect the S10 price in USA ,UK, Australia to remain expensive at $719 / £739 / AU$1,199. It will come in March for a whopping $1,770 price in US.